The data center campus in the Town of Lockport industrial park will grow, as Verizon Media announced Thursday that it will begin work shortly on a $28 million addition to the second data center Yahoo built there in 2013. Once all the computer equipment is installed in the new data pod, the company's total investment in the addition will be about $241 million, according to the company's application for incentives to the town Industrial Development Agency. The project will add 10 jobs to the workforce at the Lockport data campus, bringing the total to 200. In all, the company has invested more than $500 million in the Lockport site in the past decade. After six months of negotiations with town officials, Verizon Media has agreed to begin making payments in lieu of property taxes in 2020, instead of waiting until 2024, according to Marc R. Smith, town economic development coordinator. 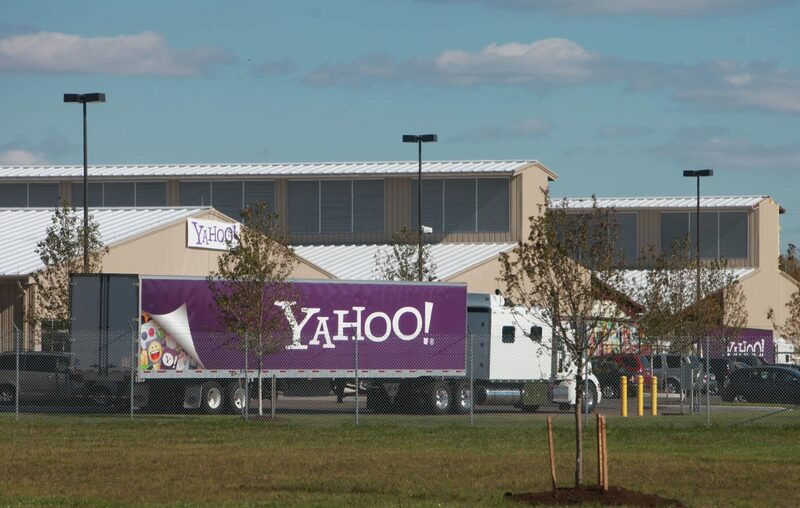 Paul Bonaro, the site manager, said the considerations that brought Yahoo to Lockport a decade ago remain in place: favorable weather to keep computer gear cool, the pool of available workers and the availability of low-cost electricity and incentives. "Every time we do the investments, there's an evaluation," Bonaro said. "It's not locked in. There's always the opportunity to go to other locations with this investment. At this point, the company would really like to grow here now, and we're asking for that support." With its corporate acquisitions, Verizon Media now owns the entire Lockport complex, including the original Yahoo data center that opened on Enterprise Drive in 2010 and the second data and call center that opened on Crown Drive in 2013. There are 75 employees at the Enterprise Drive site and there will be 125 at the Crown Drive complex once the expansion is completed. The renegotiated payment-in-lieu-of-taxes, or PILOT, does away with the 20-year package approved in 2013 for the Crown Drive complex, which included 10 years of no payments at all. That deal will be replaced with a new 15-year PILOT on the entire Crown Drive site, the existing building as well as the new one, with annual escalating payments. Verizon Media will continue to be exempt from paying sales taxes on building materials or equipment for the building. That will save the company an estimated $17.3 million, according to the IDA application. The total property tax savings for Verizon Media over the 15 years is almost $11.6 million, Smith said. The property savings in the 2013 package, which is to be superseded, was estimated at $10 million, but the sales tax savings was given as $200 million, which Smith said turned out to be a drastic overestimate. Because money would start flowing sooner, "we really looked at this as a win for our community," Smith said. As it happens, this is the final year of complete tax exemption on the original data center, so Verizon Media will start making payments on that next year, too. Lockport has no townwide property tax, but payments would be sent to Niagara County, town special districts, and the Lockport and Starpoint school districts. Smith said the town IDA may vote on the revised incentive package as soon as April 11, when a public hearing is set for 8 a.m. in Town Hall. Work on the 75,000-square-foot pod is to begin this spring, and the shell and the first phase of equipment installation should be complete by the end of this year, Bonaro said.